Microwave a Pizzelle Cookie for 18 seconds and curl the sides in together and hold for 5 seconds. Repeat until desired amount of cannoli shells needed. Set Aside. In the same mixing bowl, add the ricotta cheese, powdered sugar, vanilla, and cinnamon. Mix on medium speed until well combined, about 1 minute. Fold in the whipped cream. 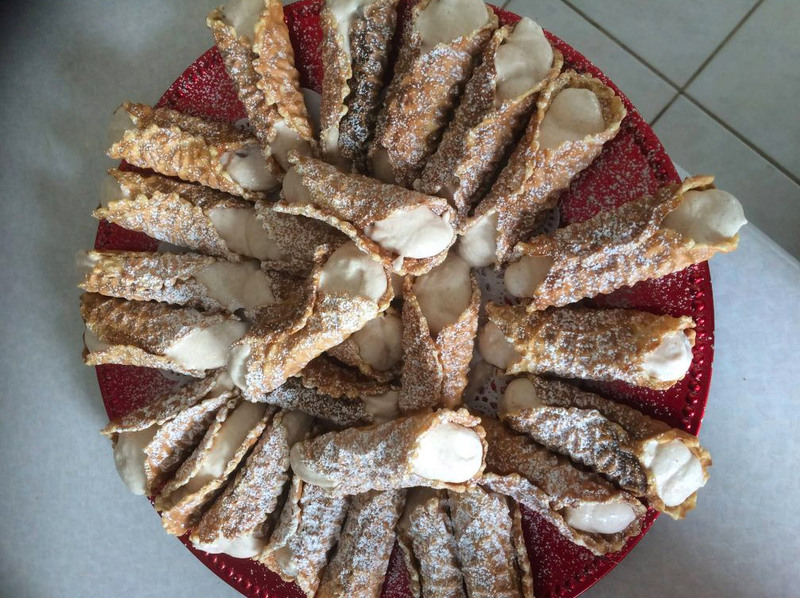 Fill cannoli shells with cream and serve immediately. Enjoy!